The card of your inherent skills and talents is related to your name. Tarot Court Cards describe inherent skills and talents that you brought into this world when you were born (thanks to so called “Tarot Numerology”). They will make you aware of whether you yourself can learn or whether you can teach others. This internal skill represents the main quality of our ego that stays a part of our soul for the rest of our lives regardless of what other qualities we gain due to our name change. 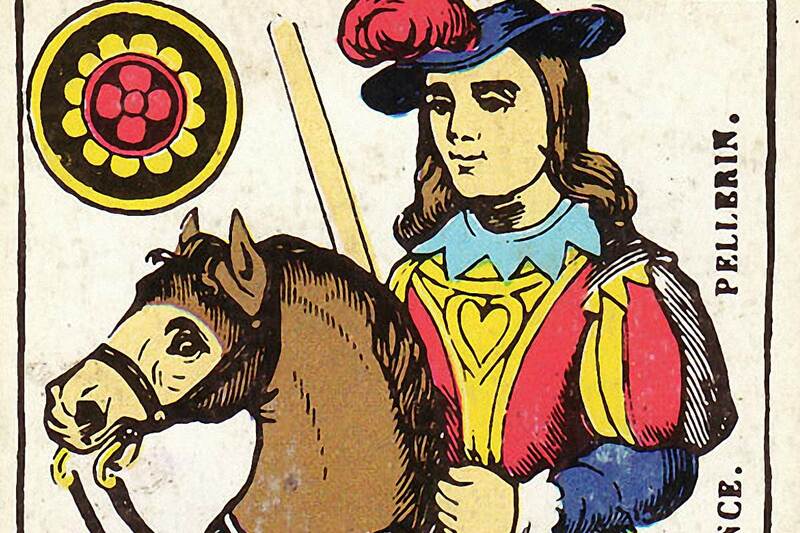 Tarot Court Cards are Knight, Queen, Prince and King, and the suits are Pentacles, Swards, Cups and Wands. Court Cards represent skills and talents controlled by a certain level of consciousness. Court Card suits suggest the level of consciousness that these skills and talents are related to. The swords always represent the mental level of consciousness. The cups symbolise our consciousness using emotions. The wands represent symbols for the intuitive and spiritual aspects of consciousness. The pentacles deal with your physical level. If you want to uncover your inherent internal wisdom that will direct your path, write down your full name and surname at birth and add up all the letters. In case the total amount of letters is higher that 16, add up these two numbers to get a single number. Jaroslava Kolibrikova = 20 letters, 2 + 0 = 2. Look for number two and your court symbol within the table. Changing your name reflects new talents and skills that you can benefit from.